If New York is the city that never sleeps, you’re going to need a sophisticated, street-friendly jacket that keeps you warm and dry if you want to keep up the pace. This insulated jacket provides windproof, weather-resistant protection to anyone walking the beat, day or night. Insulated with 600-fill-power Recycled Down reclaimed from duck and goose down products, it feels like you’re wrapped in a soft comforter whenever you head out the door. The 2-layer shell, made from a 50-denier 100% polyester fabric, has a buoyant, supple hand along with a DWR (durable water repellent) finish to shed moisture and increase durability. A 100% recycled polyester ripstop lining wicks moisture and glides smoothly over layers. 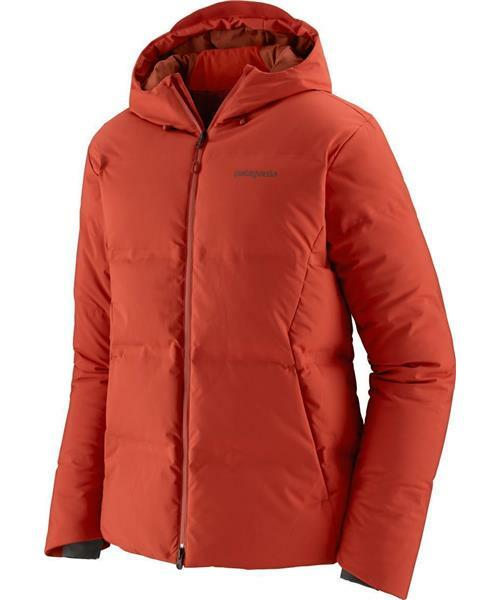 For additional weather protection there’s a removable, insulated hood and a 2-way waterproof center-front zipper with a zipper garage at the chin to protect exposed skin. High-volume handwarmer pockets have waterproof zippers and soft brushed jersey fabric lining, and there’s an internal security pocket (with headphone compatibility) that closes with a zipper. The hem is adjustable using hidden cords routed inside the handwarmer pockets. This jacket has a streamlined silhouette and an at-the-waist length.